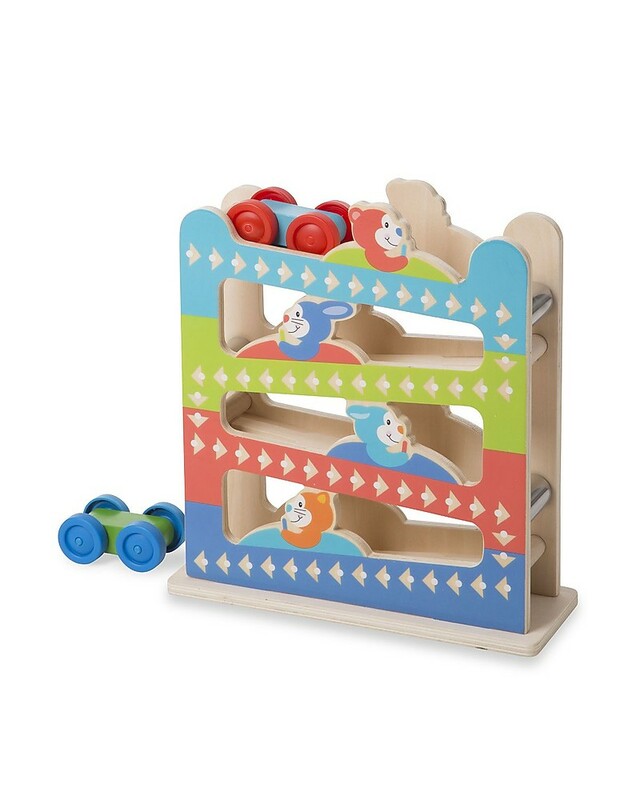 Wooden Roll & Ring Ramp Tower with Cars - Gret Gift Idea! 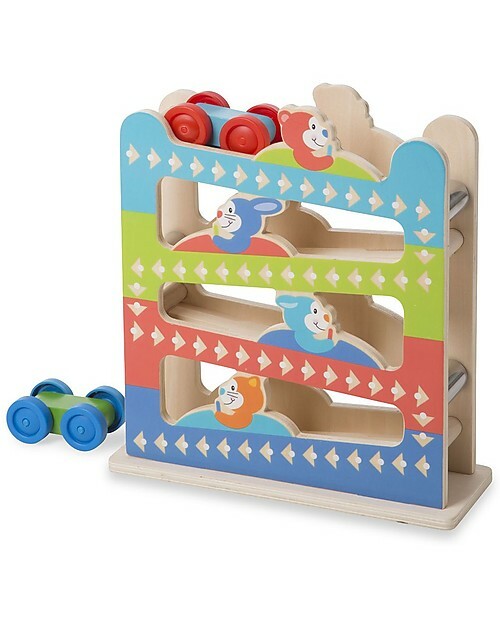 Get the fun rolling with this sturdy wooden tower and two cars that spin down the zig-zag track! Kids, from 12 months and older, will delight in seeing them rolling! Just drop a car at the top of the tower and watch as it makes a chime ring at each turn, and as the car flips over to zoom down the next ramp. 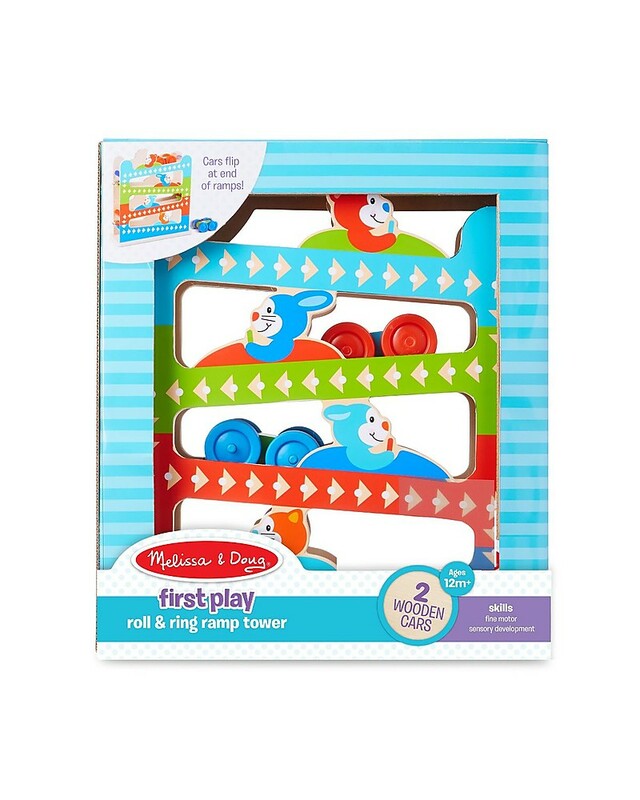 Part of the First Play collection, this wooden tower and its two cars feature bright colors, bold patterns, and whimsical designs that boost fine motor skills and shape recognition. Plus these wonderful toys also spark imagination and wonder right from the start! Melissa & Doug is the American leader of imaginative play. All their toys are created to enhance the creative development of your child and to last over time. The brand is also famous for being excellent value for money. Furthermore Melissa & Doug’s toys encourage kids to freely express themselves. 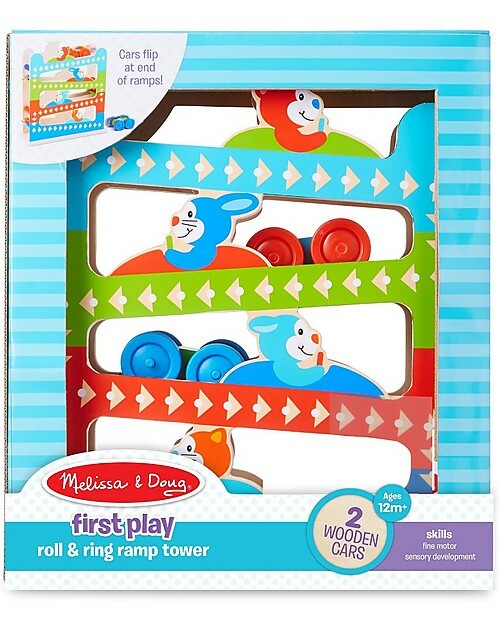 All Melissa & Doug toys are colourful, well designed and made to be fun, educational and useful for development. Wood is a solid, safe and long-lasting material. 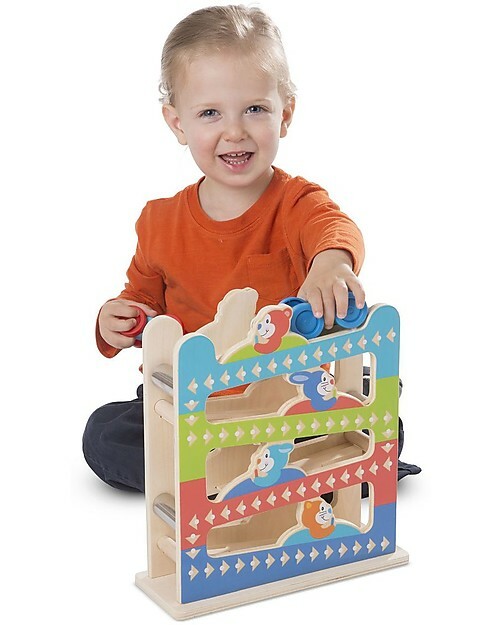 This toy helps fine motor skills and eye-hand coordination.